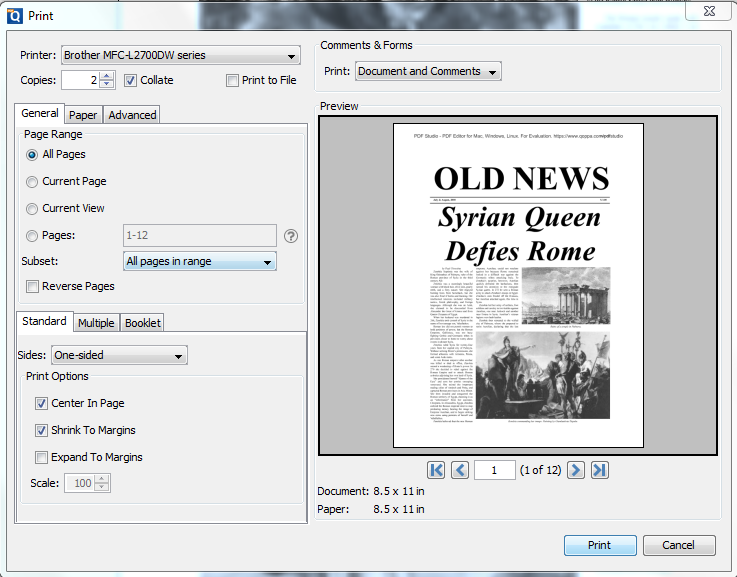 Q: What is collated printing and how to use it? A: Collated printing is used to keep pages in order when printing multiple copies. 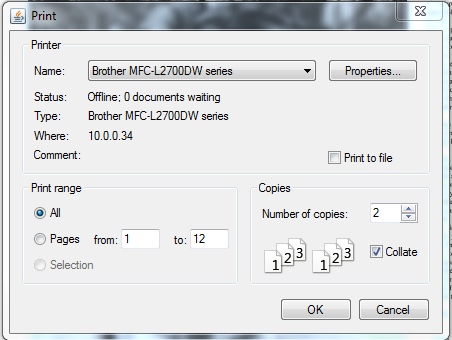 For example, if unchecked, two copies of a three-page document will print in this order: 1,1,2,2,3,3. If checked, the order will be 1,2,3,1,2,3. This option is not available when printing only one copy. 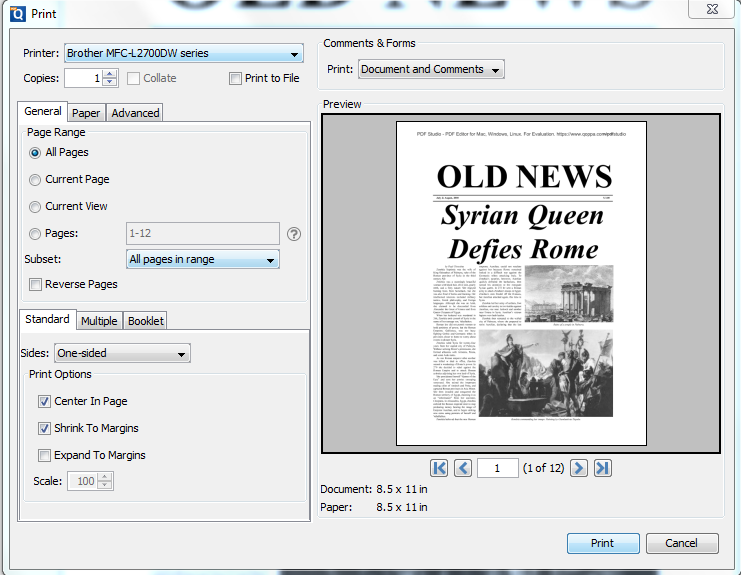 “Collate” is also available in the system print dialog.